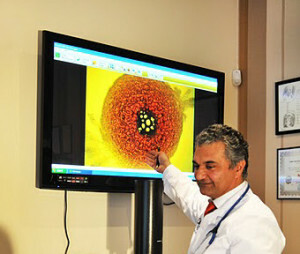 Raymond Hilu, possessing a degree in medicine and surgery, is specialised in cellular medicine and has been trained with various health-related disciplines: Nutrition in England, embryo implants and stem cell surgery at the University of Viena (Austria), cellular microscopy and clinics in EEUU England and Holland, Podiatry (subspecialty in foot surgery) in Monterrey-Mexico. He was the only scientific collaborator trained by Dr Johanna Bu dwig nominated 7 times for a Nobel Prize for her work and contribution for research carried out on fatty acids (she was the one that began classifying fatty acids in olive oil and other foods. After Dr Johanna Budwig passed away, Dr Raymond Hilu, her only intellectual heir, continued her work by developing and expanding the initial investigation done by Dr Budwig, turning into the biggest worldwide reference regarding fatty acids. Besides obtaining various awards for his research, he instructed various doctors and scientists in the fatty acids in the mediterranean diet field and on clinical nutrition. Dr Hilu collaborates with various laboratories around different countries where he keeps developing work on his investigations in the fatty acid field as well as health and orthomolecular supplementation. 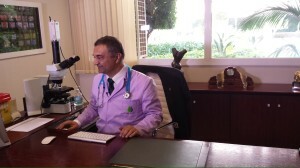 Co-owner and Director of “Consulta Dr Raymond Hilu” and other medical centers in Barcelona Marbella (Malaga). He can also be found in London (England), Novara (Italy), Helsinki (Denmark), Caracas (Venezuela), Monterrey (Mexico) and Florida (USA). Dr Hilu has managed to create the only protocols used to treat Lyme disease (Borreliosis) and has performed clinical testing on treatments intended for Fibromyalgia, Multiple Sclerosis, Autism and Chronic Fatigue Syndrome. Currently he is involved in a study that applies nanotechnology in degenerative diseases. He is the author of publications such as “La Dieta Budwig revisada” (The revised Budwig Diet), and also “Par Biomagnético: hongos, virus, bacterias y parásitos” (Biomagnetic Pair Therapy: fungi, viruses, bacteria and parasites). He developed te chniques and work methodologies, such as the Hilu ® Method for Stem Cell Surgery and the Hilu ® Method for Cellular Medicine and Hilu ® Method for Bio Surgery amongst others. He has innovated several compositions and formulas that are distributed in labs worldwide, with the Coenzyme Q11 ® as his latest contribution to date. Apart from training and teaching many physicians throughout the world, he has taught anatomy and physiology for 6 years. He has received awards from the Mexican Academy of Medicine (Sodi Pallarés award) and the Club de Medios in Madrid (Media and Communications Club). He has also been invited to speak at prestigious international congresses.